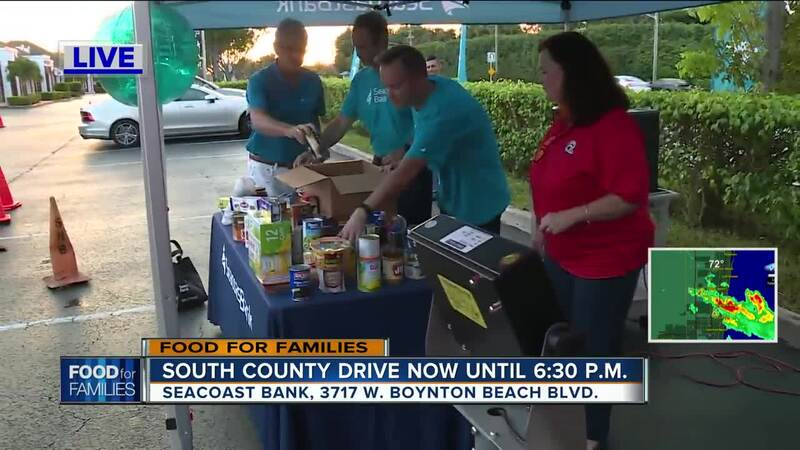 WPTV is holding an all-day food drive in Boynton Beach on Friday to help members of the community in need. The food drive is being held at the Seacoast Bank located at 3717 W. Boynton Beach Blvd. from 6:30 a.m. until 6:30 p.m.
Just drive up with your canned goods and non-perishable food items and we'll unload your donation. This is part of the annual Bill Brooks' Food For Families food drive organized by WPTV aimed at helping less fortunate people in time for the Thanksgiving holiday. You can also donate food at NewsChannel 5 in West Palm Beach and at participating Seacoast Bank locations. Click here to learn more about upcoming events, and how you can donate.